You can’t really call any state “non-obese” these days with every state having at least 20% of their population considered obese and 12 states having over 30% of their population obese. 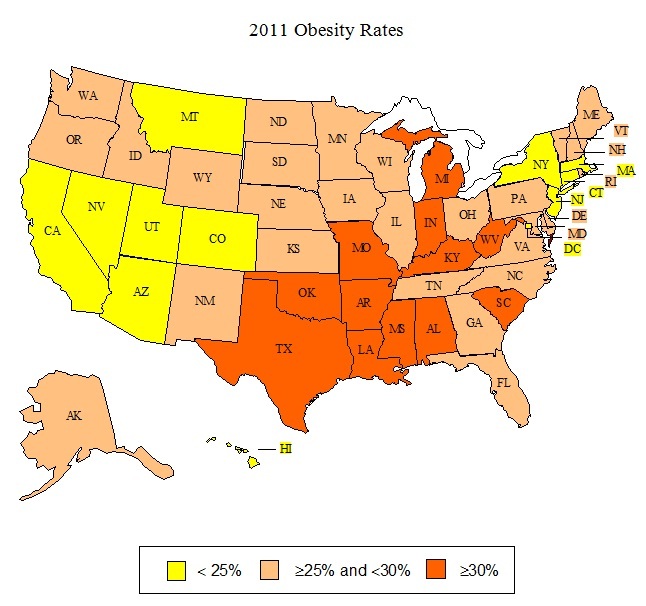 But, in a separate study, I found it interesting to compare some metrics from the most obese to least obese states. Not surprising. One of the things that I do always find interesting is whether people consider themselves to be obese. People generally don’t. I’ve spoken about it before, but I sometimes think healthcare providers need to be more direct with people to let them know that they are obese and this in going to increase their chances of dying sooner (2x more likely to die prematurely) and having other health problems.